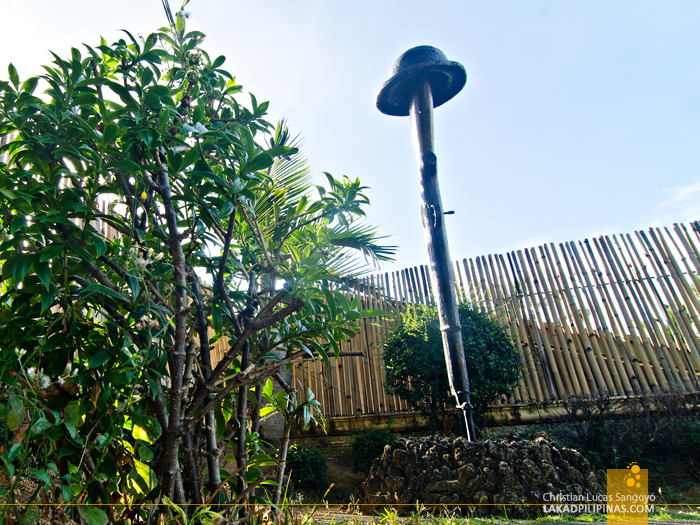 Bataan is one of those places history geeks go nuts over. 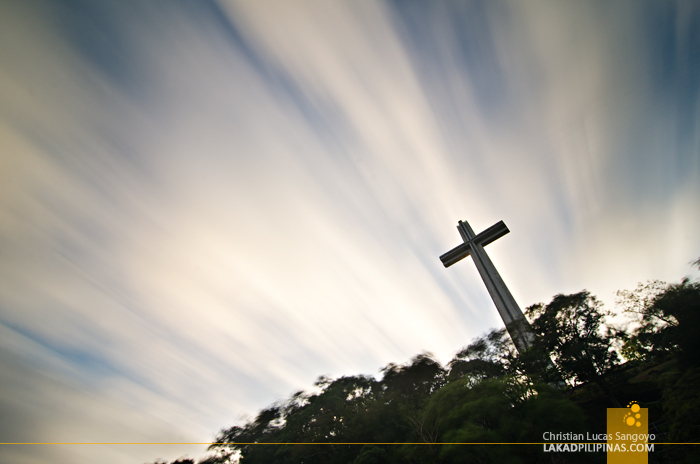 It became the last hold-out for the American forces during the Japanese invasion, a jump-off point for a Corregidor tour and is the location of the infamous Death March; enough reasons for those interested in knowing more about World War II to visit. During our three-day tour of the province, we were able to touch base with a few of these. 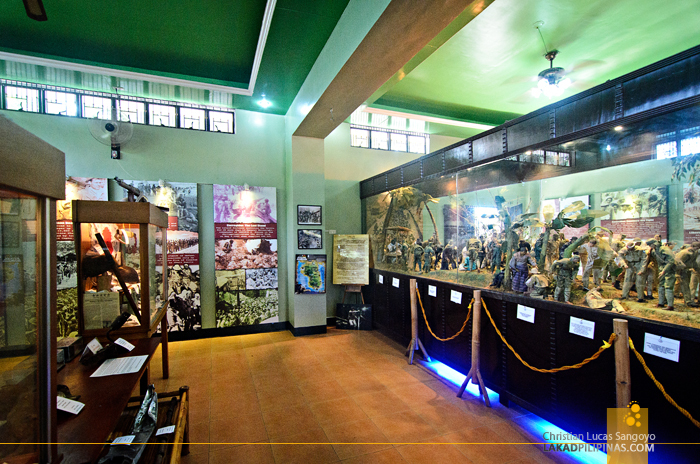 Before heading to any historical sites in Bataan, I recommend visiting the Bataan World War II Museum first. Here, one can get an overview of the fateful events that transpired in the province during the Second World War. 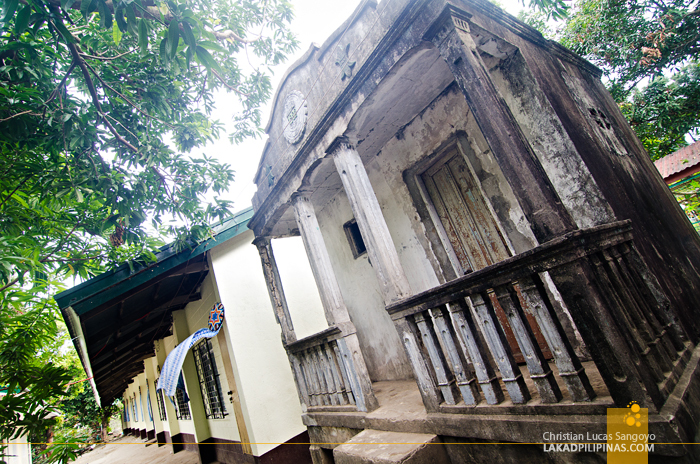 Located at the back of the Balanga Elementary School compound, the museum is housed on the ground floor of an old building. It isn’t really that big, but it packs a punch when it comes to information. In fact, we were first asked to sit down for a brief video documenting the war before we were released to roam around on our own. 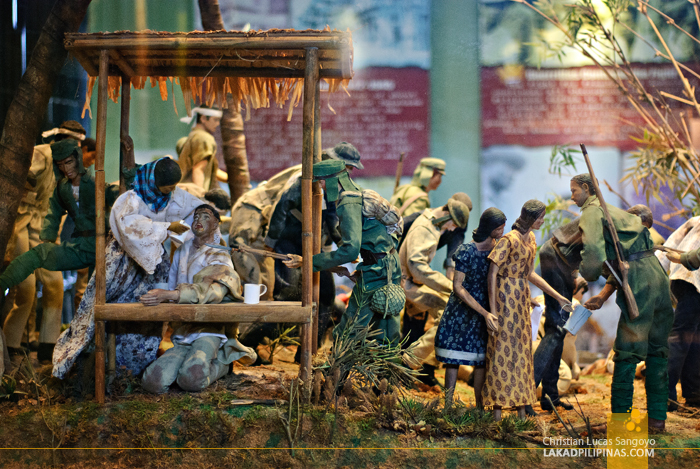 The museum houses several panels of infographics detailing the progress of war in the Philippines, a few donated artifacts and a huge diorama made up of 120 dolls depicting scenes from the infamous Bataan Death March. 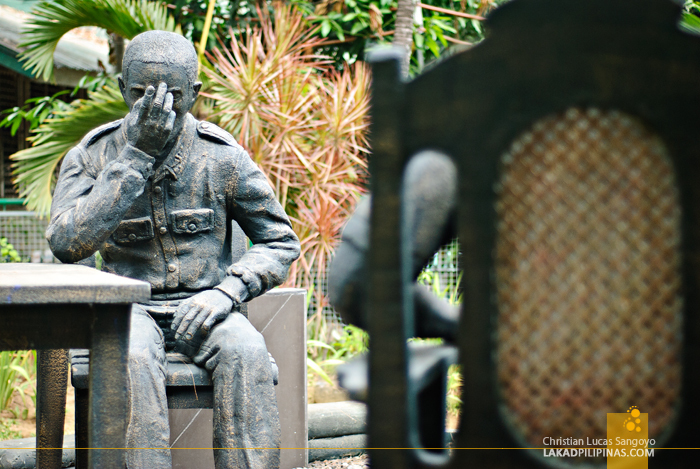 Right outside the museum is the Surrender Site Monument where larger than life statues of four American and three Japanese officers discussing and signing the surrender of the USAFFE (United States Army Forces in the Far East) in the Philippines is located. 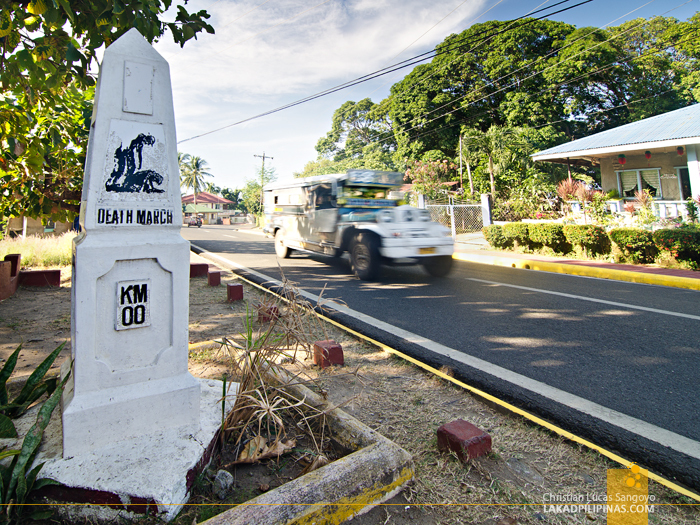 Bataan’s Zero Kilometer Death March marker in the town of Bagac marks one of the two (the other one is in Mariveles) starting points of the horrendous 97-kilometer walk of Filipino and American prisoners of war during the Second World War. The white marker is quite simple and today’s generation would probably just give it a passing glance without regards to the history behind it. 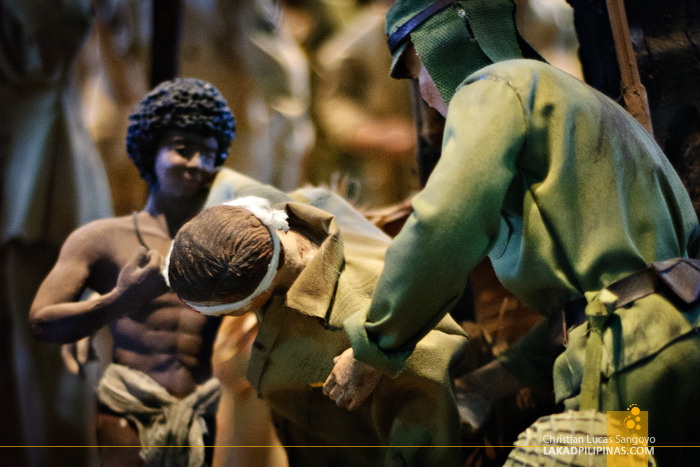 The Death March is one of the darkest chapters of World War II in the Philippines. The event took place after the surrender of the Americans to the Japanese Imperial army in 1942. An approximate of 60,000 to 80,000 POW’s were forced to walk for 97 kilometers for seven days to San Fernando in the province of Pampanga where they were loaded on a box train for their final destination in Capas, Tarlac (a shrine stands there, the Capas National Shrine, commemorating the casualties of this event). The death toll was estimated to be anywhere from 2,500 to 10,000 soldiers, their deaths coming from the cruel hands of the Japanese, disease due to inhumane conditions and exhaustion. 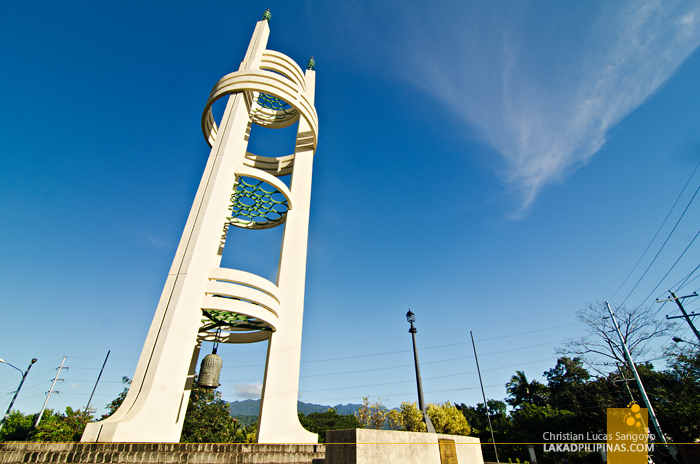 A graceful memorial tower commemorating the Japanese and Filipino renewal of friendship stands at the junction of Aguinaldo and J. J. Linao National Road in the town of Bagac. 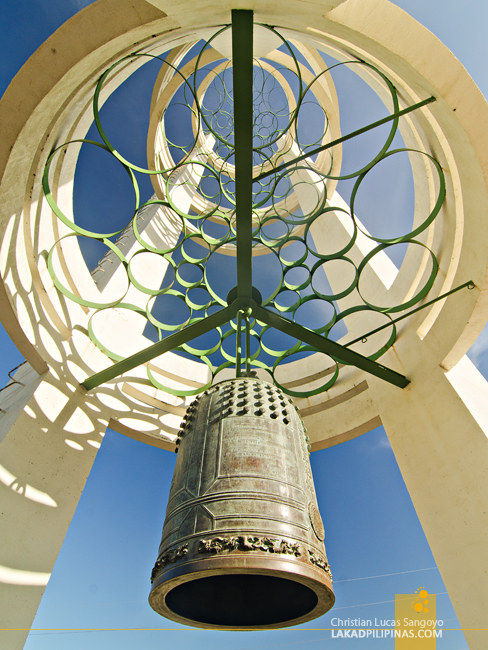 The pronged white tower, built in 1975, was conceived by Risshō Kōsei Kai, a Japanese Buddhist religious movement, Bataan’s then governor and the Bataan Christian Youth Civic Circle. 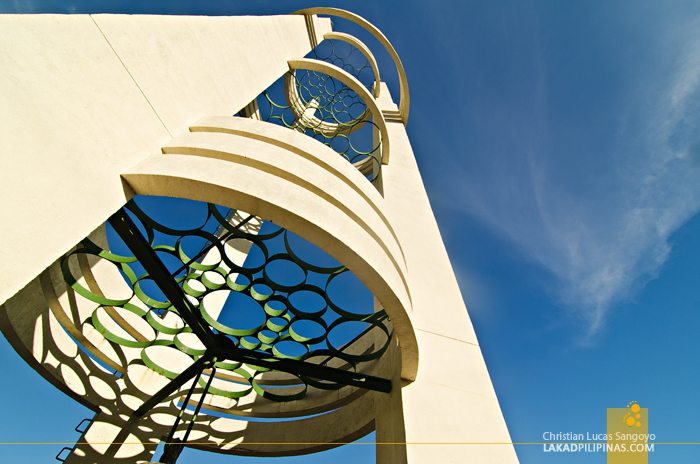 The structure is set on a rotunda and stands at 27 meters (89 feet) tall. It features three levels, each one beset by an open platform made up of circular patterns, the lowest of which hangs a bell embossed with intricate dragons, knobs and Japanese writings. It seems to be made from bronze or copper. During its inauguration, it was struck twice by Bagac’s mayor, Atilano Ricardo, and Risshō Kōsei Kai’s youth division head, Rev. Niwano, as a symbol of lasting peace between the two nations. The tower is walking distance (about 200 meters away) from the Bagac’s Death March Kilometer Zero marker. Great stop in Gettysburg nazi memorabilia for sale....great place to visit! so much to look at. great things to purchase. The owner has been on Pawn Stars and American Pickers and he was there when we visited. My friend her father was in the Battan Death March and has his memorable. She wants to place it in the proper place to be remembered. Where would be a good place to donate? Enthralling stuff I haven't been finished particular data in a lasting time. The writer understand better the mind of people what they want to learn through their writing therefore this article is outstanding. Thanks!!! Hi, sino po pwede kausap sa management po ng Museum? May contact number po ba kayo nila? do they have an email address?